WSOC-TV and the Charlotte Observer report that a man trying to catch a bus in uptown Charlotte was injured when he tripped and fell and the bus ran over his arm. Around 10:45 p.m. on Saturday night near a bus stop on East Trade Street, the man was running alongside the bus and banging on the side of the bus trying to get it to stop. When the man tripped and fell, his arm went under a bus wheel, causing the man to be seriously injured. He was sent to Carolinas Medical Center with critical injuries but is expected to recover. It is unknown whether the driver heard the man banging on the side of the bus. In a situation like this one, what are the duties of the bus driver and the pedestrian and how do they affect their liability for damages? First, liability for damages in car accidents stem out of the theory of negligence. To show that a driver is negligent, a pedestrian must show that (1) the driver owed the pedestrian a duty of care, (2) the driver failed to comply with that duty, (3) the pedestrian was injured, and (4) the pedestrian’s injuries were caused both actually and proximately by the driver’s breach of his duty. A pedestrian might argue that a bus driver has a duty to keep a lookout for pedestrians trying to board the bus at a bus stop. It is unclear from the articles how close to the bus stop the bus was and at what point the man approached the bus trying to board. This argument might be stronger if the bus was at the bus stop having just closed its doors when the man approached it, but it likely still a stretch. The Charlotte Observer also notes that it is unknown whether the bus driver heard the pedestrian banging on the side of the bus. The argument for the driver’s negligence becomes much stronger if there is evidence indicating that the driver actually heard the pedestrian’s banging on the side of the bus. North Carolina statute G.S. 20-174(e) states that notwithstanding any duty of the pedestrian provided in the statute, “every driver of a vehicle shall exercise due care to avoid colliding with any pedestrian upon any roadway.” If a driver heard a pedestrian banging on his vehicle, the pedestrian might argue that the driver did not exercise due care by continuing to move the vehicle. If a driver is determined to be negligent, the analysis is not over. A negligent driver can argue that a pedestrian’s contributory negligence bars the pedestrian from recovering damages. In most states, a plaintiff’s negligence will reduce his damages, but North Carolina is one of a handful of states that follows the stricter doctrine of contributory negligence. Under the doctrine of a contributory negligence, a showing of a plaintiff’s own negligence can act as a complete bar to his recovery of damages. In order for contributory negligence to keep a pedestrian from receiving damages, the pedestrian’s negligent behavior must be a proximate cause of the accident and contribute to the injury. Pedestrians generally have a duty to exercise the care of a reasonable pedestrian. In addition, pedestrians have duties created by North Carolina statute. G.S. 20-174(d) provides that “[w]here sidewalks are provided, it shall be unlawful for any pedestrian to walk along and upon an adjacent roadway.” There are sidewalks along East Trade Street in uptown Charlotte, so if the man was running alongside the bus in the road, he would have violated G.S. 20-174(d). What if the pedestrian was running along the sidewalk while banging on the bus and only ended up in the street after tripping and falling? In that case, the pedestrian has not necessarily violated the statute, but a driver might still argue that a reasonable pedestrian exercising due care would not get so close to a moving bus so that if he tripped and fell he would be run over. (1) That the pedestrian negligently placed himself in a position of peril from which he could not escape by the exercise of reasonable care; (2) that the motorist knew, or by the exercise of reasonable care could have discovered, the pedestrian's perilous position and his incapacity to escape from it before the endangered pedestrian suffered injury at his hands; (3) that the motorist had the time and means to avoid injury to the endangered pedestrian by the exercise of reasonable care after he discovered, or should have discovered, the pedestrian's perilous position and his incapacity to escape from it; and (4) that the motorist negligently failed to use the available time and means to avoid injury to the endangered pedestrian, and for that reason struck and injured him. However, the problem again in the application of either the statute or the last chance doctrine is whether the driver knew or reasonably should have known that the pedestrian was so close to the bus. As with many negligence issues, the analysis requires more knowledge about the specific facts of the case. 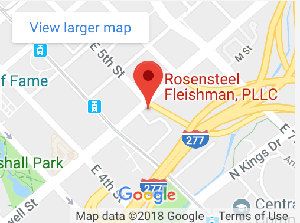 If you have been involved in a car accident, contact an attorney at Rosensteel Fleishman, PLLC (704) 714-1450, to discuss your options based on the facts of your case.